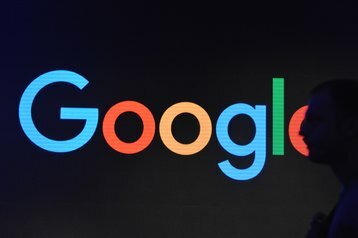 Google plans to expand its only Latin American data center with a $140m investment that will triple the size of the campus in Chile to 11.2 hectares (27.7 acres). A launch event for the expansion was attended by Chilean President Sebastian Pinera, underscoring the importance of the project for a nation trying to diversify the economy and move away from its dependence on copper, Reuters reports. Edgardo Frias, Google's general manager in Chile, added: "This new stage reinforces the promise Google made to the region to ensure that large and small companies, non-profit organizations, students, educators and all users can access key tools in a reliable and rapid way." The construction work is expected to create 1,000 temporary jobs, while the data center will offer 120 permanent positions. Next year will also herald the completion of Curie, Google's private submarine cable linking its data center in Quilicura, near Santiago, to its PoPs in Los Angeles. News of the expansion was revealed last week after Amazon Web Services said it was considering a data center in Chile to serve as a repository for telescope data. “Chile is a very important country for AWS. We kept being amazed about the incredible work on astronomy and the telescopes, as real proof points on innovation and technology working together,” Jeffrey Kratz, AWS’s GM for public sector for Latin America, Caribbean and Canada, said at the time. Over in Europe, the company said that it has signed a 10-year deal to buy 190 megawatts of power from three new wind farms in Finland for its Hamina data center. This will mark the first time it has turned to renewable energy in Europe from projects that were built without the backing of government subsidies. “In a growing number of locations, the cost of new renewable energy is competitive with the cost of power from the grid,” Marc Oman, Google’s head of EU energy, said. Across the continent as a whole, Google says it has signed 14 purchase agreements totaling nearly 900MW of wind and solar capacity. The Hamina data center is set in a former paper mill and cooled by sea water.